I'm in a donut mood, how about you? For those of you that are health conscious and watching that figure to reach your summer goals you are the real MVP! I envy your discipline and I won't screw it up for you. HA. 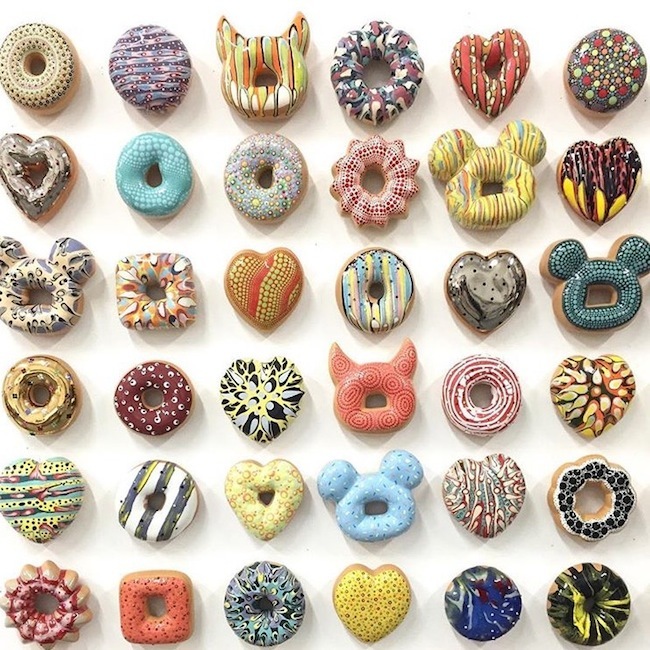 Just feast your eyes on these pretty donuts by Jae Yong Kim at Lyons Wier Gallery. Saturday, May 14, 2016 is the last day to see this installation though. So run over, and get your fix. A little cardio and zero calories never hurts! I donut care THAT much to starve myself, especially not on weekends! There's unfortunately no Mets baseball home game this weekend. 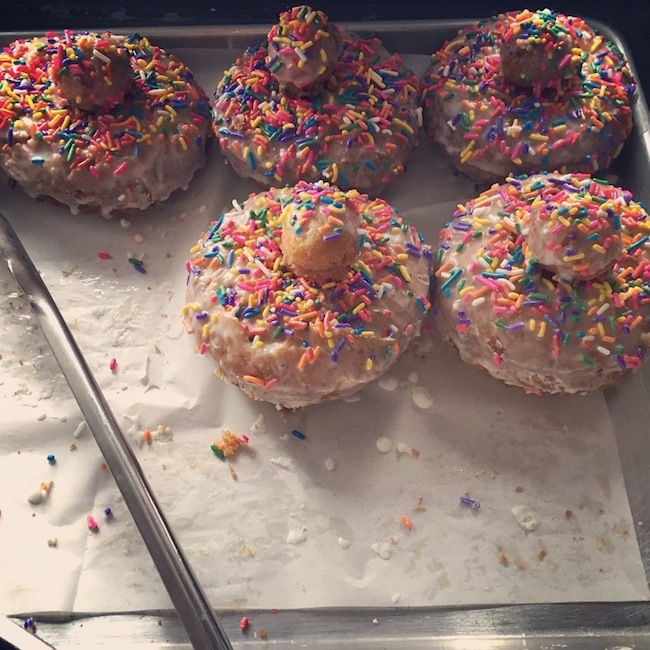 But if you deserve a cheat weekend and happen to be in the Astoria, Queens area, you must try these donuts. I tried the last time I was on my way to Citifield to watch a game and it was not overly sweet and super moist. Love at first bite! SERIOUSLY. This is the Funfetti Donut. Luckily Queens Comfort only make and sell Donut Diva donuts on Fridays and Sundays. They're not a donut shop - it's a diner! They make a small batch of donuts, one flavor only, twice a week. So you need to plan your visit on the right day and hope they're offering a flavor you like the day you go! First come first served, and be warned they sell out! I know they're not healthy. But once in a while it's okay to treat yourself right? That flavor donut above is what I hope to try the next time I'm at a Mets game on the right day! 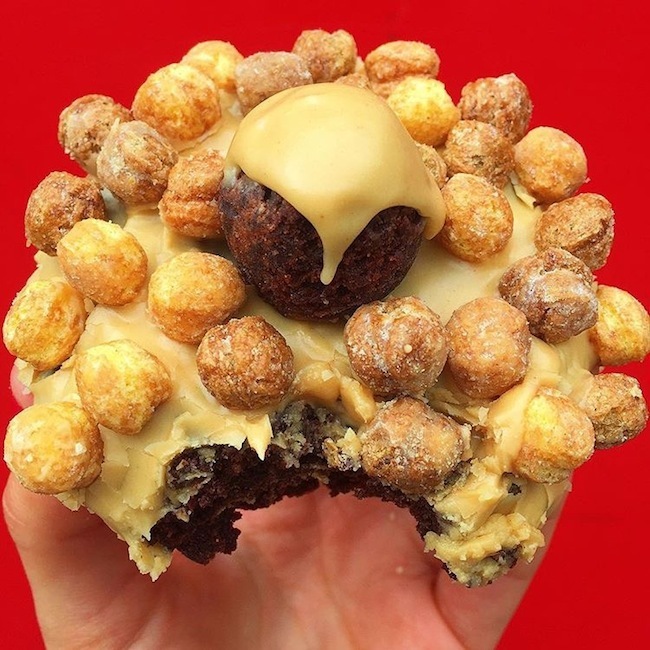 A Reese's puff donut posted by Instagram account +HUNGRY BETCHES Well damn girl! As she says…Lord have mercy on my soul! HA.